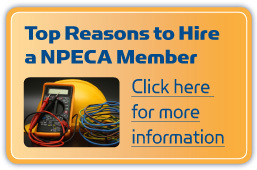 Members of the Niagara Peninsula Electrical Contractors Association (NPECA) financially support a training fund through monthly contributions. This fund provides ongoing safety and skills training for our work force at no additional cost to the contractor or the International Brotherhood of Electrical Workers (IBEW) Local 303 member. The fund also ensures that our in house trainers are trained to recognized standards. G. Hubbard, IBEW Local 303 is the Training Co-ordinator. Members of the NPECA and IBEW Local 303 are very pro-active in ensuring that our work force is skilled and safety conscious. Our commitment is to provide a safety conscious and skilled workforce on all our job sites. 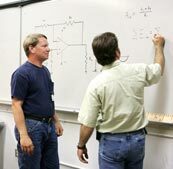 Members are able to register for training online at www.ibewlocal303.com or by calling the Association office.